Social Evolution – everything is (or should be) a remix and a meme! My recent visit to New Zealand has left me breathless with some of the yummy opportunities available for students across the country. 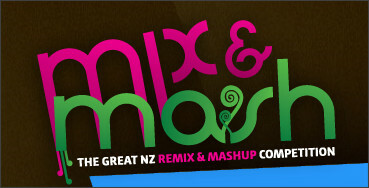 One of these, the Mix and Mash competition is all about creative use of media. “Are you a crafty storyteller? An app developer? A visualisation ninja? Then this is the kiwi event for you”. Wow! Check out the 2010 winners if you want to get an idea of what they have been up to including posters, cartoons, alternate music, poems, and many more supreme mashups. For the rest of us, as we stand by and watch, why not go and grab a copy of Free to Mix: An educator’s guide to reusing digital content. Use the word document to create your own school version, or just share the PDF. This initiative is another from the wonderful National Library Services to Schools, which is unique to New Zealand. I’d like to think that all teachers and librarians are clever enough to know how to work well with images to promote creativity in learning. 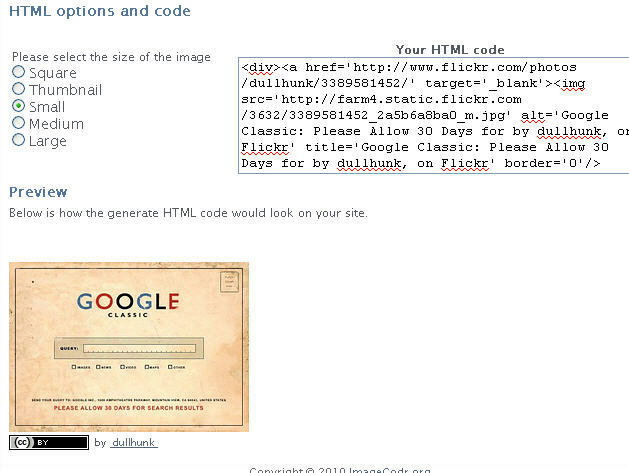 My post-grad students working on Digital Citizenship in Schools have just completed a phase of their learning that included an investigation of how to find and use images in their work using free images online, and even using Greasemonkey and Flickr to speed up their image attribution. Media literacy is an important part of digital learning environments. Media literacy education helps people of all ages to be critical thinkers, effective communicators, and active citizens. Media literacy is the capacity to access, analyze, evaluate, and communicate messages in a wide variety of forms. This expanded conceptualization of literacy responds to the demands of cultural participation in the twenty-first century. Like literacy in general, media literacy includes both receptive and productive dimensions, encompassing critical analysis and communication skills, particularly in relationship to mass media, popular culture, and digital media. Like literacy in general, media literacy is applied in a wide variety of contexts—when watching television or reading newspapers, for example, or when posting commentary to a blog. Indeed, media literacy is implicated everywhere one encounters information and entertainment content. And like literacy in general, media literacy can be taught and learned. Using images is just one aspect of media literacy educaiton – but none-the-less a vital one. Media literacy education can flourish only with a robust understanding of fair use. Fair use in education means that educators and learners often make use of copyrighted materials that stand ‘outside’ the general use e.g. in the classroom, at a conference or within a school-wide setting. When this takes place within school fair use indicates flexibility. Each country has it’s own specific rules and regulations that apply to copyright. But for teachers, the aim should be not to teach or bend rigid rules, but rather to promote media literacy in action and help students learn HOW to use media to empower their work, and promote a creative commons approach to sharing and mashup works. For this reason I was excited AND disappointed with the newest enhancement to Google Images, mainly because in my experience teachers have continued to turn a blind eye in this area of media literacy action. 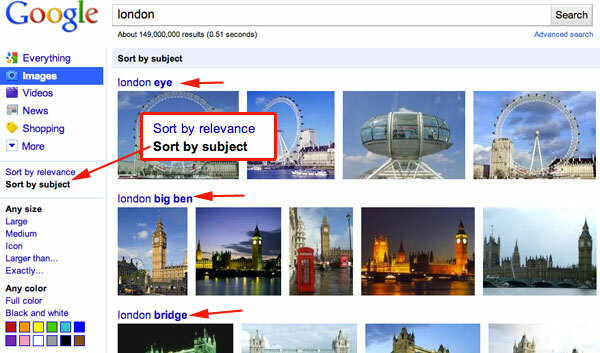 Google has announced you can now sort Google Images by subject. 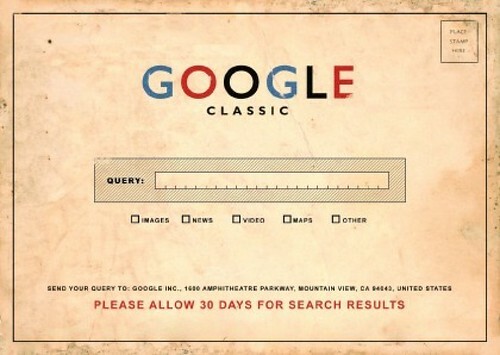 To see this in action, go to Google Images, conduct a search and look on the left hand side for the search option. Directly under the “More” link, you will find the default sort option set to “by relevance,” click on the “Sort by subject.” The results will then shift and group images by subject topic. Decorating print and digital material with google images is pretty standard amongst kids – no attribution, no use of creative commons materials etc. Your students may be different – but I’m considering the general norm that I have seen, and now the job just got easier! What interested me most though was watching the video about this new feature. Notice how they’ve cleverly ‘covered’ the value of this new feature? You’d use this feature to help you understand a topic better? pick a better dog! and perhaps add a nice image to presentation at school? Sorting just made searching a lot more visual. Yes. No mention of copyright, creative commons, fair use. No mention of th Advanced Image Search, and the option to filter by license. So there are rules…and they did not promote breaking them. But they did leave the rest of the job up to us! OK – so I guess it’s up to teachers and teacher librarians to get the fair use message across, as part of our media literacy education. 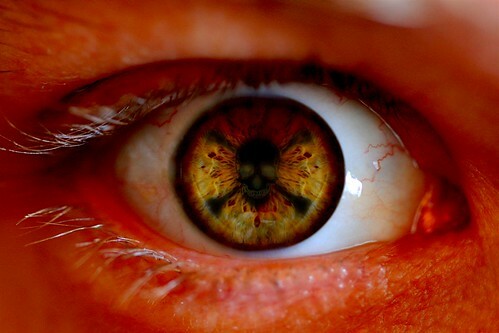 Will you stop turning a blind eye now? Working with students means taking them on the journey of learning in and out of online environments. Let’s encourage them to apply creative commons approaches to their creativity. I don’t know why this video hasn’t hit my radar before! Flickr currently hosts more than 75 million images that are licensed under a Creative Commons license. 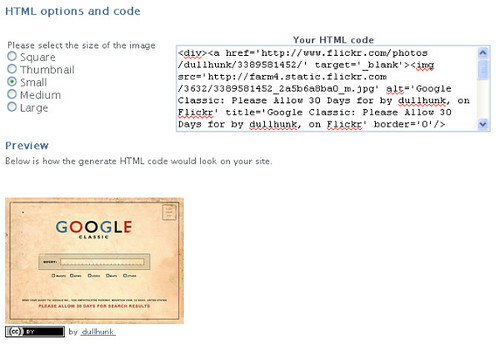 Depending on the license, you may use the images on your private or commercial webpage, or make changes to it. With ImageCodr.org, there is no need to do all this manually!! 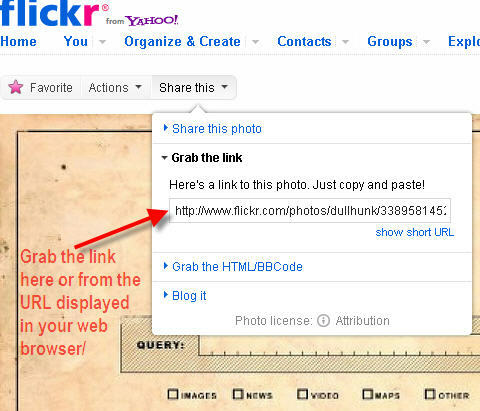 You simply grab the URL of the picture page that you are interested in. 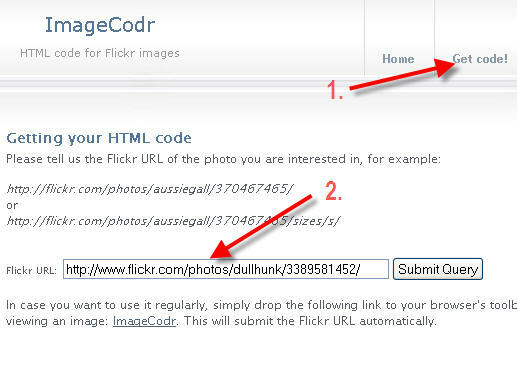 Then ImageCodr.org will generate the ready-to-use HTML code for you to drop into your online platform of choice. It will also display a brief and easy license summary, so you don’t get in legal trouble because you missed something. I know that students (and teachers) just like to copy and paste images from anywhere into anything. But we really can’t afford to miss the opportunity to teach our kids real digital citizenship skills even if it’s just about how to use images. From small acorns, big trees grow! What seeds are you planning on help grow today? This video aims to contribute to the design and development of visually stunning, fit-for-purpose libraries with learning spaces that support 21st century learning in extended school settings. It shows the contribution an effective library can make to the educational, creative, emotional & reading development of children and young people, and the aspects of design that can enable this. The school library is seen as the central space in the school for creativity, imagination and learning to be released. Features Stephen Heppell with excellent contributions from schools around the UK. A very comprehensive rationale and presentation funded by CILIP School Libraries Group and MLA (Museums Libraries and Archives Council). Though this video/DVD is not new, it is very relevant as we visit and revisit our future directions.